In this article I will be discussing corner strategy. In racing it isn’t just about how fast you go around the turn (okay well actually it is) but how we set the car up properly before the corner in order to maximize our overall speed on the race track. It isn’t about blindly throwing the car into the turn and holding on for dear life, each corner has a specific strategy. Maybe there’s a corner where you want to go a little slow on the entry, so you can be on the throttle with a nice balanced car and get a good exit. Maybe the opposite! In this article I will show you how to identify the most common corner types, define what type of strategy each would be and teach you the beginnings of how to implement that strategy. There are certain parts of a corner we can drive differently to prioritize another section of that same corner. Even if you don’t know what I mean yet, you’ve probably done this before unconsciously. But probably inadvertently! You ever come in to a corner way too hot and barely manage to stick on the road at the exit? Something tells me that during this “oh sh*t” moment you weren’t on initial throttle at the apex of the turn. It’s safe to say that your speed OUT of the corner was not very impressive and you didn’t carry much momentum onto the straight after the turn. You carried an abnormal amount of speed IN to the corner, so your speed OUT of the corner will be sacrificed as a result. You gained an advantage at the exit of the corner and traded it for a disadvantage at the entry. This is What Corner Compromising is. In this case I just mentioned, inadvertently or not we prioritized our speed into the corner and we had to lose it at the exit is a consequence. Take a look at the red line in Figure 2.1. In order to go as fast as possible, I need to go as straight as possible. We all agree that a car has a potential for higher speed on the highway than in a tight parking lot. This is due to steering wheel position. The more we steer the more we must slow down. In order to set a quick lap time, we want to spend as much time as possible going as straight as possible. Where Do I Want To Go Slow? This question literally holds all the secrets to racing we know. The best race car drivers in the world know where to go slow. But wait a minute, we don’t want to go slow anywhere! True, but, there isn’t a single place on the race track where you can go “fast” without it meaning you had to go “slow” somewhere else. 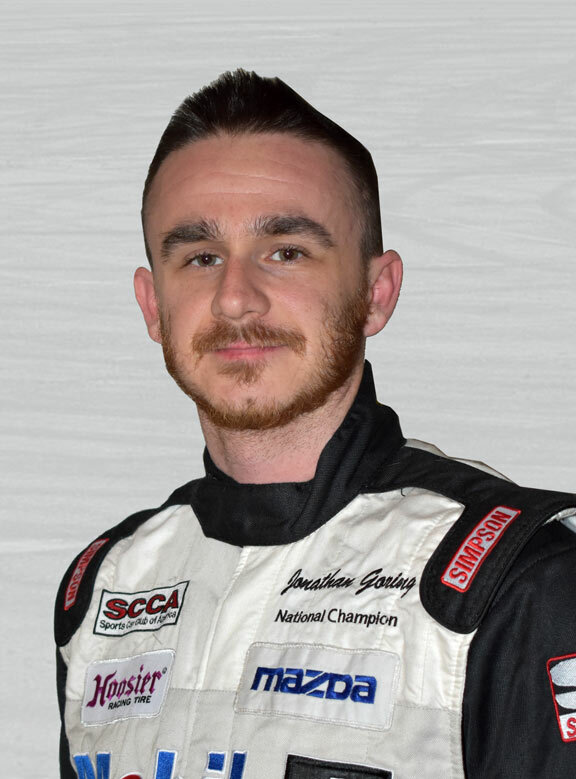 By selecting very specific, short sections of the track to go slow on we will end up faster on others with an overall net gain and a very quick lap time. Where do I want to steer the least? This question is even better because it’s more specific. I mentioned above that any amount we steer slows us down, so we can think of “more steering” and “going slow” as synonyms. 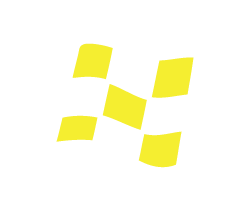 Moving forward, instead of thinking about where to go slow and where to go fast, let’s think about where to steer more and where to steer less. Now, as I mentioned earlier, in order to earn the benefit of turning less in a specific spot in a corner we must turn more somewhere else to make up the difference. We can choose where we steer the most and where we steer the least. 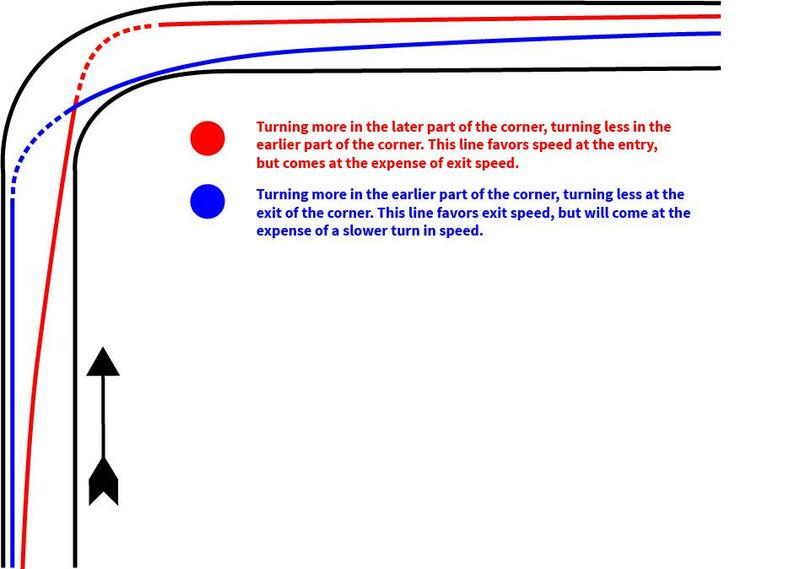 One of the great speed secrets in racing is knowing where you want to turn MORE in order to favor turning LESS somewhere else. In order to even begin to figure out when and how to do that, we must look into different “corner types” and understand the most common “corner strategies” for each type of corner. A turn that neither gets tighter nor opens up as you progress through. A corner that is the same “tightness” (radius) all the way through. Goal: Find a good combination of rolling speed and exit speed having our minimum corner speed occurring just before the apex. Line: Close to a “geometric line” but usually benefits from a slight late apex. The green line in the figure below shows the correct line through here. Note that the green line is a slight late apex, as opposed to the standard “geometric” line shown in red. 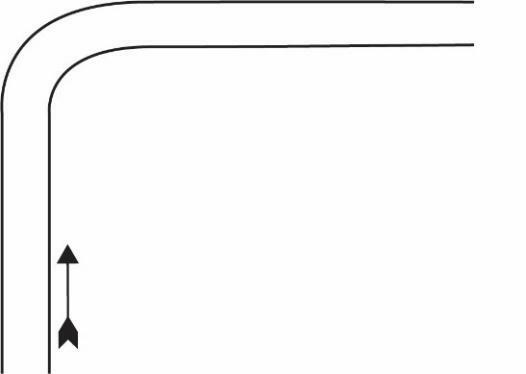 The geometric line is the biggest radius around the turn but doesn’t take into account that we want to squeeze throttle and straighten our hands after the apex of the corner, which will in turn straighten the radius. This is why we typically take these type of turns with a slight late apex. That, and it leaves just a little bit on the table at exit for the unexpected! A turn that gradually opens up as you progress through. 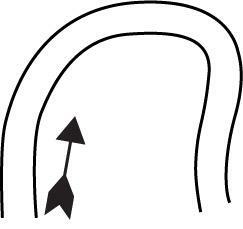 A turn that is very tight in the beginning but straightens out as you go through. 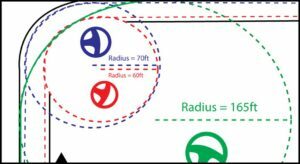 Goal: Drive the biggest radius possible at precisely the section of track with the tightest corner radius. Take full advantage of extra entry speed because of the extra road at the exit. 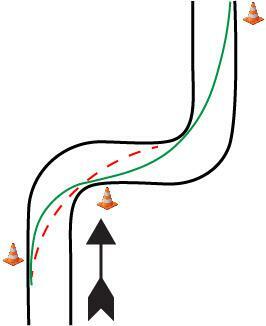 Line: Turn in earlier than normal for an earlier apex, float the speed through knowing there is extra road at the exit. With an increasing radius turn we know that the track “opens up” at the end of the turn. Thus, we can turn a little earlier than normal and come across the apex a little too fast at a little too shallow of an angle to the apex. If we did this correctly, we will challenge the car all the way to the exit on throttle without dropping a wheel off the track. 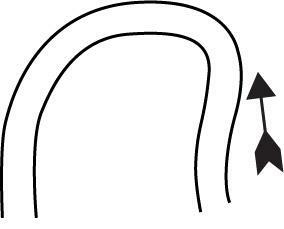 A turn that starts of gradual but tightens up as you go through. 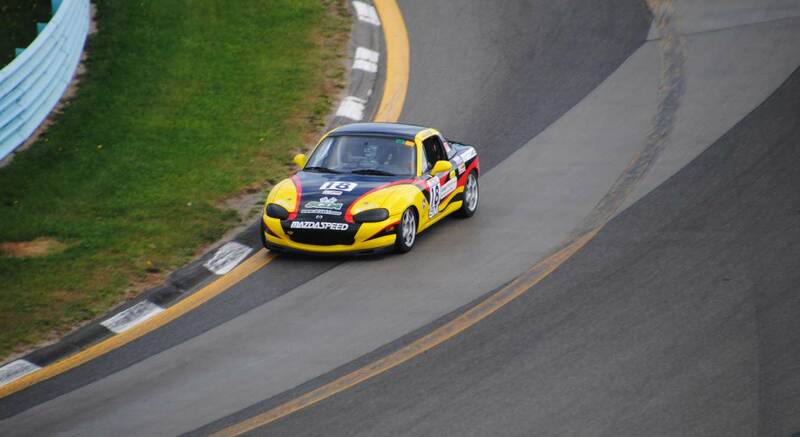 Goal: Again, drive the biggest radius possible precisely at the section of track with the tightest radius. 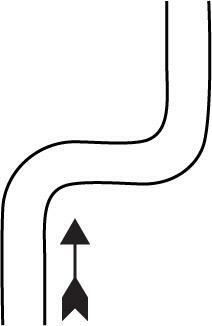 Line: Keep the car a little wider, longer than usual and have a later turn in aimed for a later apex. 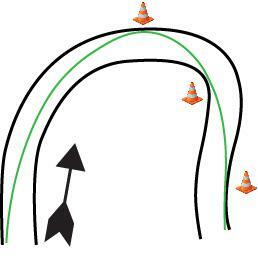 With decreasing radius turns, we must be aware that the corner tightens up at the end as we go through it. Typically we want to hold the car a little wider, longer than we expect so we can ensure we don’t accidentally end up too early in the corner and consequently running out of road at the exit. A turn where you must make some sacrifice in the first corner to gain an advantage in the second. The green line would be the correct line through here, where as the red line is the standard geometric line. We’ve compromised the exit of the first turn to set up properly for the second turn. 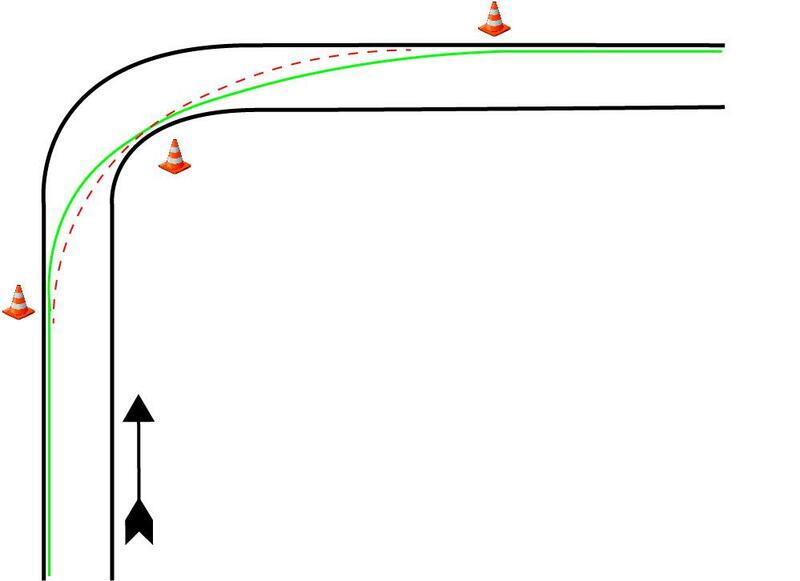 The red line doesn’t take into account the next corner, expressing the need to make it a compromise corner with the proper line shown in green. Hopefully now you have an idea of the most basic corner types and the basic strategies for each. 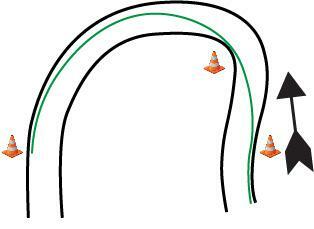 It’s always good to sit down with a track map before your race and/or track day and put in place your corner strategies. Remember, we want to spend the most time going the fastest, so find out where you want to go slow. Go slow there, and you will be fast!